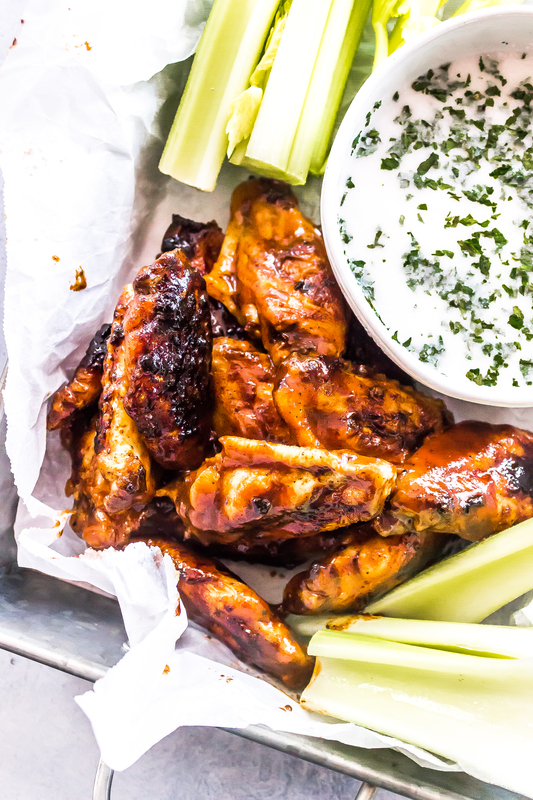 These Smoky Honey BBQ Wings are sticky, smoky, and all around perfect! Preheat oven to 450°F. Dry the chicken wings by patting them with a paper towel. Heat a large cast iron skillet over medium high heat and sear the wings 2-3 minutes per side. Transfer to the oven and bake another 20-30 minutes until golden and crisp. Add the honey to the skillet coating each wing. Transfer the wings to a bowl and toss with the BBQ sauce. Serve immediately.